If you thought rabbits were rodents, alongside hundreds of other Americans, then you’ll be surprised to find out that they’re not related to the rodent order at all! You might ask, ‘why? What’s the difference?’ and your confusion is warranted. Rabbits are quite similar to rodents, having long incisors, exceptional hearing, and they’re prone to digging burrows for safety, just like many other rodents do. Even some pest control companies see rabbits as mere pests to gardens and farms, treating them as if they were as despicable as rats. Rabbits are so similar to rodents that, once upon a time, they were even considered as such! Over a century ago, they were part of the same order of Rodentia, but since then, things have changed. Scientists have been quite adamant about the creature’s differences, enough to put rabbits in the order Lagomorpha, where they’ve since stayed alongside hares and pikas. Here, we’ve put together a briefing of the two main differences between rodents and rabbits, explaining why they’re not related, and why you should still be wary about handling rabbits in the wild. Rabbits are related to rodents only in the sense that they are both in the mammal class, but as we mentioned earlier, rabbits are entirely separate from the order Rodentia, which consists of rats, mice, chipmunks, squirrels, and many other species. One of the main reasons for this has to do with a difference in teeth. If you’ve ever owned a pet hamster, mouse, or rat, then you’ve probably noticed that their teeth retain a rather yellowish/orange color in comparison to our own. This is completely normal in rodents. It means our pets have no abnormalities, no health concerns or malnutrition in their enamel. But if you’ve ever owned a rabbit or seen a rabbit’s teeth up close, then you’ve likely noticed that they are very white in color. For rodents, this would be a clear sign of disease, but it’s perfectly safe for a rabbit’s teeth to be white. Simply put, rabbits do not have the same enamel that rodents do. This is understandable considering the two also have very different diets (More on that later). Not only is the color different, but rodents only have one set of incisors on their upper and lower jaws, whereas rabbits have two sets of top incisors, a smaller set sitting directly behind the upper pair, referred to as “peg teeth.” These exist for the purpose of chopping up vegetation that would otherwise be difficult to consume. However, rabbits do share some similarities with rodents when it comes to teeth. Like rats, rabbits have cheek teeth that they use for chomping up foods to make them easier to swallow. But that’s not all. It’s also true that rabbit incisors never stop growing the same way a rat’s teeth does. This is why it’s important for rabbit owners to provide their bunnies with gnawing sticks to help their furry friends keep their teeth under control. This leads us to the second most notable difference between rodents and rabbits. Their diet. Rabbits have a rather strict palette, eating only vegetables, typically grass and other leafy greens, but as you may already know, they love eating tougher foods like carrots as well. This is where those extra sets of teeth play their important role, as wild bunnies have been known to consume foods like plant roots, shoots, and even the bark from trees during the winter season. On the contrary, rodents enjoy a variety of foods, ranging from vegetation to nuts, grains, seeds, and even insects and meat. Rabbits might not become pests in your home like the rat, but don’t be fooled by these adorable woodland creatures. These little guys get into trouble by frequenting gardens and lawns, making them a rather difficult pest for farmers, avid gardeners, or even the average homeowner that enjoys having an ideal lawn. There’s one more significant fact about their diet that might change how you view rabbits forever. It’s not the cutest bit of information, and for anyone considering having a rabbit as a pet, they might be turned off by it. But for the sake of understanding, it must be said! So, here it goes. Since rabbits eat only vegetation, they need to obtain as many nutrients as possible from their simple diet. This means that a rabbit will eat their food, then eat it again to maximize their nutrient intake. That’s right. You heard it. Rabbits eat their own poop through a process called Coprophagy, but for a rabbit, this isn’t gross or uncommon behavior at all. Anyone who owns rabbits knows that this is just what they need to do to retain a healthy lifestyle. Now, it’s not totally unheard of for a rodent to demonstrate this behavior as well, but it is less common. Rodents will eat their feces when their nutrient intake is low, (food is scarce, etc.) whereas rabbits do this all the time. If you notice your pet rat, mouse, or hamster eating its own feces, it’s likely a sign that your pet isn’t receiving the nutrients it needs. A simple change or addition to their diet is usually enough to stop this behavior. Rabbits might be cuter and fluffier than mice or rats depending on your preferences, but how an animal looks is by no means a good way to tell if that animal isn’t dangerous. Contrary to some beliefs, rabbits can be as dangerous as rats when it comes to the diseases they carry. For example, rabbits have been known to pass a disease called Tularemia to both humans and domestic animals, such as dogs. This disease is capable of fever, swollen lymph glands, and ulcers on the body. It can also sometimes be fatal in dogs. But this is only one of the many hazards that rabbits can carry. 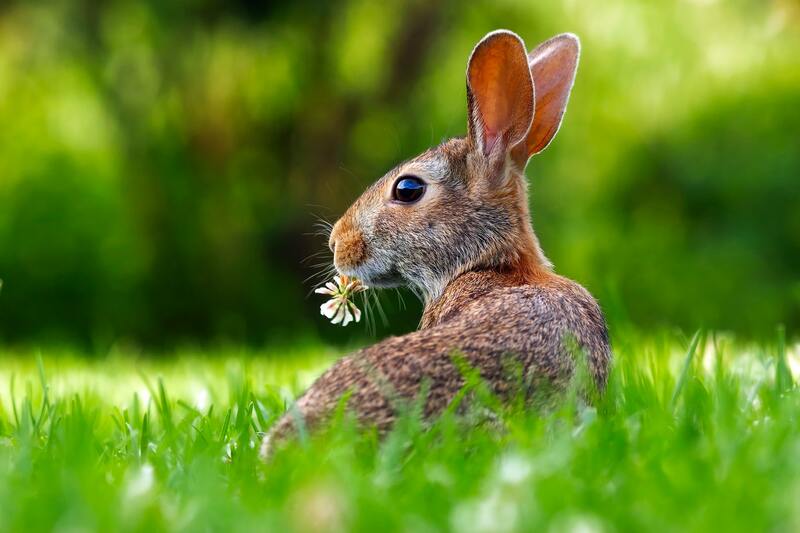 It might surprise you to learn that rabbits can also contract hantavirus and leptospirosis just as rats and mice do. If interested, you can learn more about disease management and the biology of rabbits by reading Pathology of Laboratory Rodents and Rabbits, as well as the veterinary study: Ferret’s, Rabbits, and Rodents. 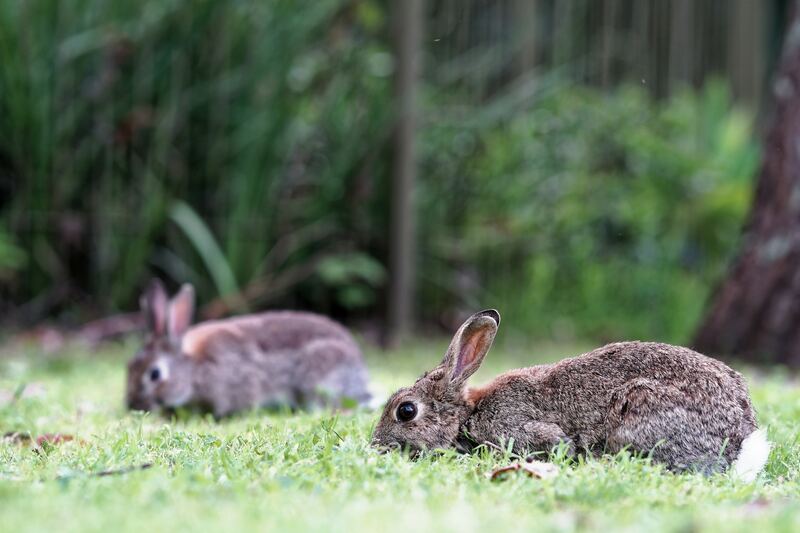 Diseases are a good enough reason to keep rabbits away from your property, but most homeowners are more annoyed by the damage that rabbits can cause to lawns and gardens. You can try calling your local pest control to get an idea of how you might control the situation before it gets too out of hand. Green Rat Control handles more than just rodents. The knowledgeable team has dealt with several types of pesky animals, ranging from bats to possums, to even raccoons! They’re sure to supply you with some effective solutions to dealing with obnoxious rabbits. Learn more about the services GRT provides by contacting them here. Are rabbits rodents? Finally, we know the answer to that. All in all, we’ve learned that rabbits used to be rodents, but since 1912, have been placed in the separate order, Lagomorph. The main differences separating rabbits from rodents lie in their teeth and digestive traits. Nonetheless, they still retain several similarities to the order Rodentia and should be treated with the same level of caution to avoid disease.